At the time of the writing of this report Japan is in a state of chaos, living on a rationed supply of electricity, shutting down their manufacturing plants, hoping six nuclear reactors that are facing cooling problems won’t fully meltdown and release fissionable material into the atmosphere, and the Japanese people are skeptical of reports that the power companies in Japan have everything under control. And to make matters worse, incurring over $100 billion of damages, Japan may be forced to sell some of the $1 trillion of U.S. Treasury Notes it owns which could create financial disturbances across the globe as value of the U.S. dollar would be dumped with it. Meanwhile in the U.S., many Americans are being falsely panicked over a crisis that is, for now, isolated within Japan. 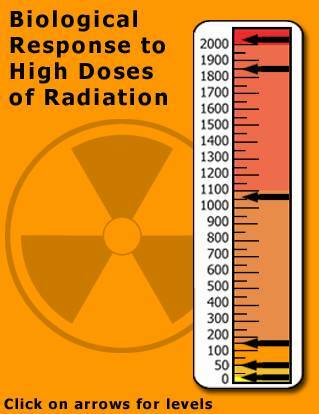 The increased radiation exposure in areas surrounding the overheated nuclear reactors is just a few rads (radiation absorbed dose) or microsieverts (~100-to-1100; needs to be 100,000 to present a health hazard). One news report said approximately 200 people were given potassium iodide tablets, but frankly their low exposure did not warrant medication. 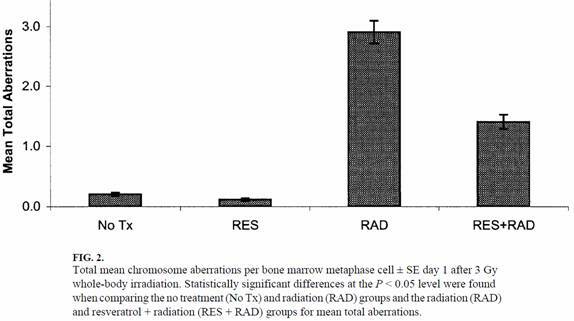 CBS News has published a chart (click here) showing the biological effects of different exposure levels of nuclear radiation as measured by RADS. 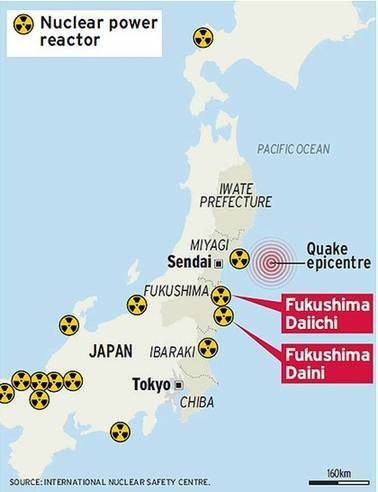 A frightening fallout map is circulating on the internet showing radioactive materials could reach North America within six days following release of radioactive material from a melted-down nuclear reactor in Japan. 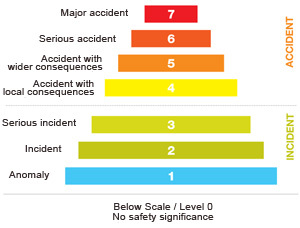 One wonders why the U.S. Nuclear Radiation Commission released this chart when matters are under control (or is it phony?). 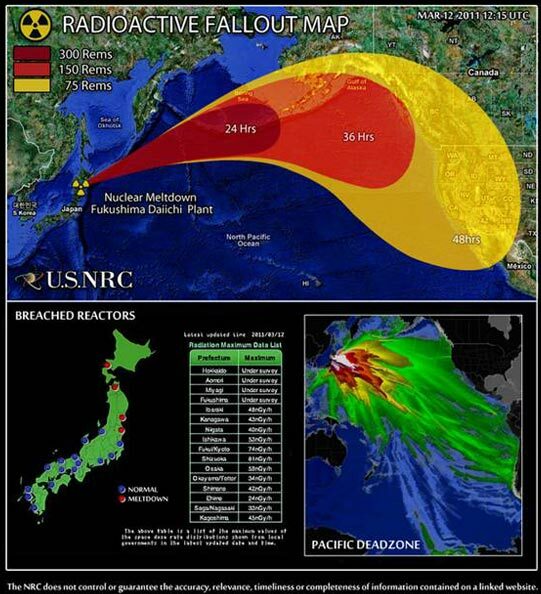 According to the NRC chart, if a nuclear reactor fully melts down and releases radiation into the atmosphere, the fallout could be pushed by the jet stream across the Pacific Ocean in just four days and deliver up to 750 rads, resulting in massive illness and loss of life. The news media is also spreading undue fear at this point, painting a scenario of what would take place after a full melt down. Alarming headlines attract readers. The Chernobyl nuclear reactor core was fully exposed and emitted far more radiation than what is now happening in Japan, yet loss of life was limited. Authorities are saying it may take months to stabilize the cores of earthquake/tsunami-damaged nuclear power plants in Japan. 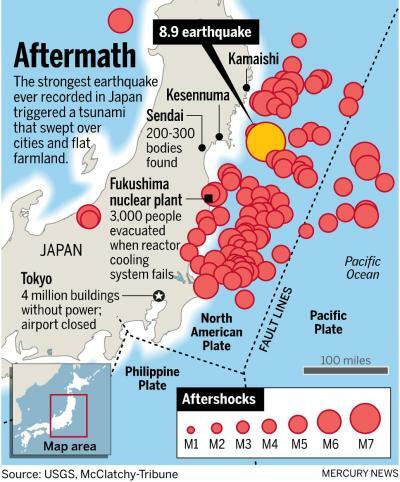 At one point the Japanese had to resort to pouring water on the reactors from fire trucks when backup electric generators for pumps were damaged by the tsunami. One reactor went uncooled for a few hours, resulting in a partial meltdown. Today as I write this report, supplies of potassium iodide pills, a substance that protects the thyroid gland from radiation toxicity, are fully depleted. Suppliers have nothing left in stock. However, why public health authorities do not alert people in Japan and elsewhere that there are other widely available natural radiation protectors goes unexplained. Here is a list of natural radiation protectors that are available at vitamin shops. Click on them to view the source. Great to see you’re online again.